Iran, Brazil and Turkey have signed an agreement under which Iran will ship 1,200 kilos of its low enriched uranium to Turkey in exchange for 120 kilos of nuclear fuel for a Tehran Research Reactor. The long-awaited UN-backed agreement that may finally resolve the years-long diplomatic deadlock over the Iranian nuclear program was inked in Tehran on Monday by the foreign ministers of the three states. The deal was reached following talks between Iranian President Mahmoud Ahmadinejad, Turkey’s Prime Minister Recep Tayyip Erdogan and Brazilian President Luiz Inacio Lula da Silva. The leaders of the three countries also signed a joint communiqué, IRNA writes. Iranian foreign ministry spokesman Ramin Mehmanparast told reporters that in a week’s time the Islamic Republic will inform the International Atomic Energy Agency (IAEA) on the details of the nuclear swap deal. And then, if an agreement is reached with the so-called Vienna group – made up of the IAEA, France, Russia and the United States – Iran will send the low enriched uranium to Turkey within one month where it would be kept under the UN nuclear watchdog supervision. The main point of the deal is to prevent Iran from endangering the world by enriching uranium to levels suitable for nuclear weapons production. 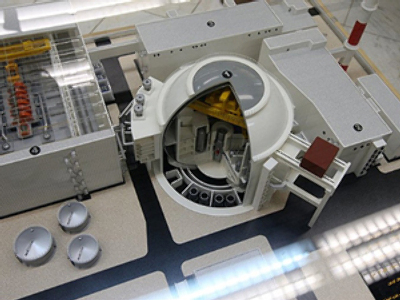 After sending its uranium to Turkey, the Islamic Republic would in return get nuclear fuel enriched to 20%, which it could use to power the medical research reactor in the capital Tehran. However, it has not yet been disclosed which country would provide Iran with the fuel rods. According to an agreement proposed in October but dumped by Tehran, the uranium would be sent to Russia and then to France for processing into fuel rods. Foreign Ministry spokesman Mehmanparast said, IRNA writes, that Iran will continue enriching uranium to 20%. Perhaps it is premature to celebrate the victory of diplomacy in this tangled situation. So far, no official reaction to the news has followed from Russia or the US. Interfax agency, citing a source in Russia’s Foreign Ministry, writes that Moscow believes it is premature to comment on the deal. “So far we have not received official information about such understandings and we cannot report any reaction or comment on reports to this end yet,” the source said. On May 14, President Dmitry Medvedev said that Brazilian leader Lula’s trip to Tehran “may be the last chance” to come to a compromise with the Iranian leadership and avoid UN sanctions. Prior to his visit to the Islamic Republic, the Brazilian president was on an official visit to Moscow. US investigative journalist Webster Tarpley told RT that the Iranian nuclear deal brokered by Turkey and Brazil is a disaster for the US strategy aimed at isolating Tehran. Once the deal between Brazil, Iran and Turkey is signed, Iran hopes that the US and other Western governments will follow suit. Despite the West being skeptical about the peaceful nature of Iran’s nuclear program, the very fact of signing the deal supports the idea that the West has “indirectly accepted the idea that Iran is allowed to enrich uranium inside the country… which is acceptable under international law,” the professor concluded. Still,he believes that western countries will not be fully satisfied with the deal and will express “a cautious optimism” at best.